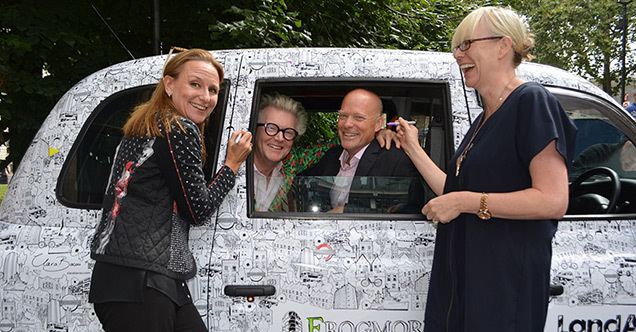 LandAid and fund manager Frogmore have launched London’s first taxi that can be coloured in. The taxi, which was unveiled on Thursday, will raise awareness of LandAid’s work tackling youth homelessness whilst also being a unique piece of public art. 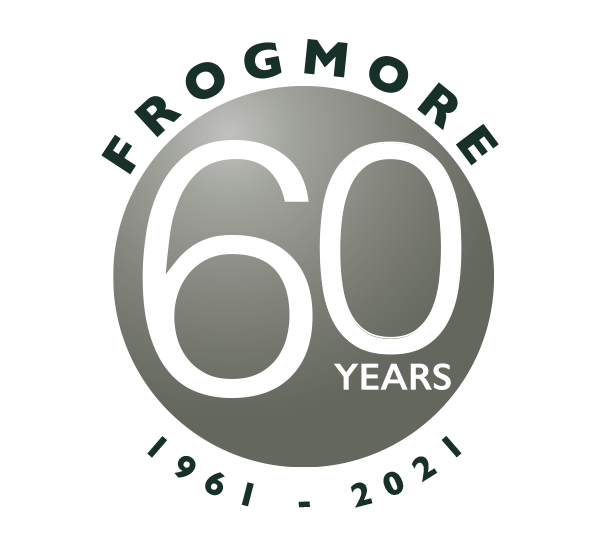 The taxi livery, donated by Frogmore, is completely covered with illustrations of the projects and young people that LandAid supports. Playing on the increasingly popular trend for adult colouring books, customers will be offered felt-tip pens with which they can colour in sections of the cab. 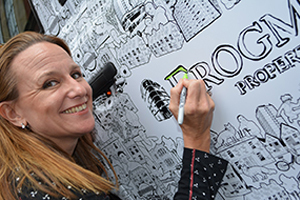 The Colour-in Cab was designed by the iconic Steve Edge (working alongside advertising agency Mr President) and illustrated by upcoming artist Clara Bacou. From Thursday the striking vehicle will take LandAid’s message across the city, bringing a welcome splash of colour and fun to London’s streets. 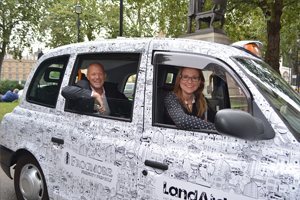 LandAid is encouraging the public to help raise awareness of the charity’s work by posting selfies with the taxi on Twitter using the hashtag #ColourInCab. Businesses too can get involved in the project by hiring the vehicle for their corporate events and away days. 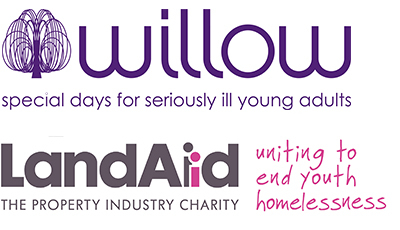 LandAid, which is celebrating its 30th anniversary in 2016/17, hopes the Colour-in Cab will make people think about the wider issue of youth homelessness in the UK. The charity anticipates that the cab will be fully coloured-in by March 2017, in time for the end of its anniversary year.